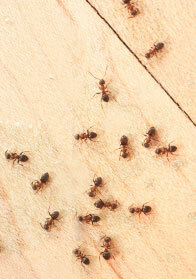 Ant extermination can be a difficult thing for home and business owners here on Long Island. Most people try remedies that they can buy from a store, however different ants require different extermination processes. With each season on Long Island comes a new type of ant that each require their own treatment. When you have an ant infestation, it takes a professional to identify the ant and what treatment will get rid of them for good. Pest Pro Exterminating has been treating ant infestations in Nassau and Suffolk Counties and on Fire Island many years. We have developed treatments that are unique to our environment here on Long Island. Ants will enter the home through the tiniest cracks. They seek water and sweet or greasy food substances. Ants leave an invisible chemical trail that signals others to follow to the food source. Ant colonies can contain up to 300,000-500,000 ants that can uproot and relocate easily. The workers can live to up to 7 years, while the queen may live as long as 15 years. These statistics can be very distressing to any homeowner. Unfortunately the do-it-yourself pest control remedies will only kill the ants your see. Effective treatments from Pest Pro Exterminating of Long Island will penetrate and destroy the colonies and nests so that these pests will not return. 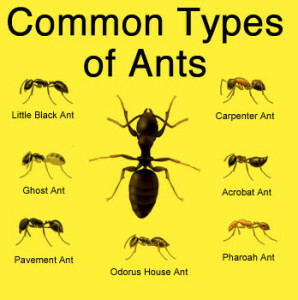 There are more than 700 ant species found in the United States, however only about 25 species will infest homes. Even though ants are easily spotted and identified as a problem, professionals from Pest Pro will be able to inspect your home and see which treatment is right for you. On Long Island, ant infestation is the most common type of nuisance we encounter. They are difficult to exterminate and it is important to remember that the ants you see will only account for 10% or less of the colony size. Contact us today for a pest control or extermination evaluation!